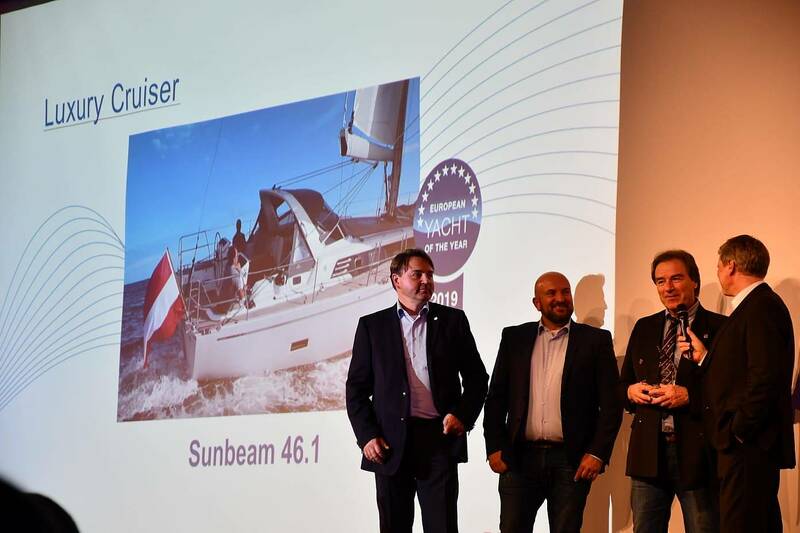 The Sunbeam 46.1 has been proclaimed Boat of the Year in the Luxury Boats class during the Boat Show in Düsseldorf. Her final rivals were the Hallberg Rassy 57 and the Wauquiez Pilot Saloon 42. 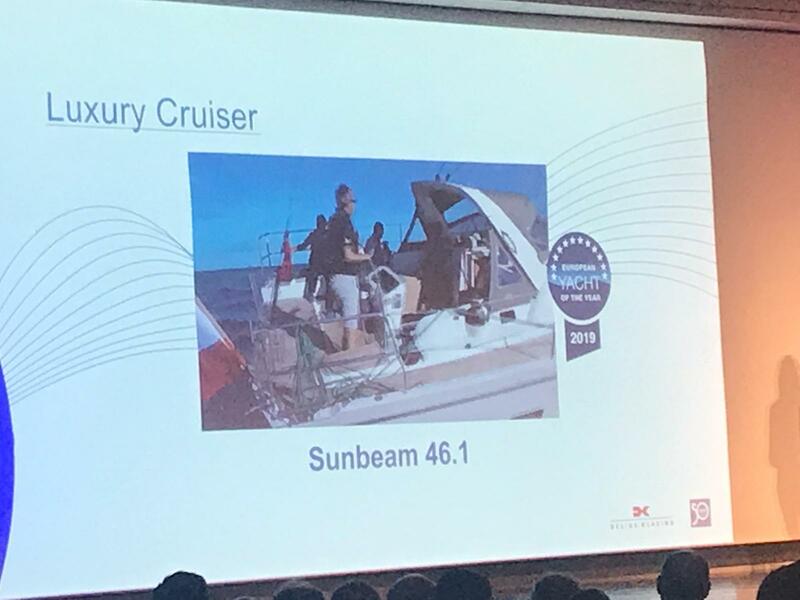 The Sunbeam 46.1 resoundingly won because “The styling, the functionality of the deck layout, the ergonomics in the cockpit and the rig concept” (Let’s remember that she has a roll bar as standard to which the main sail sheet track is secured). Below decks her style and high craftmanship convinced all the journalists of the Jury (many of her rivals use conglomerates instead of real wood, a cheaper choice but not equally warm). Gerhard and Manfred Schöchl, the Yard’s owners receive the Award.